This elegant wall sconce features a smooth flowing design with metalwork finished in brushed nickel and a beautiful white glass shade. LED wall mounted light fixtures are designed to look great and save money. These wall sconces feature a sleek harmonious blending of modern form, architectural stance and function. Both brushed nickel and oil rubbed bronze finish clips are included to match any decor. The satin white glass shade produces an even, inviting light without the hot spots that light bulbs create. Because this light fixture is LED, there are no light bulbs to replace -ever, and the light is fully dimmable. These light fixtures are built from steel to last for years to come, Energy Star listed for energy savings and quality assurance, and backed by a 3 year limited manufacturer's warranty. These light fixtures come with everything you need for easy installation. A glowing beam of light, Vespers clean frosted glass tube sits elegantly on a chrome or brushed nickel cast metal frame. Mounted vertically or horizontally, the Vesper collection offers radiating illumination for contemporary residential and commercial applications. 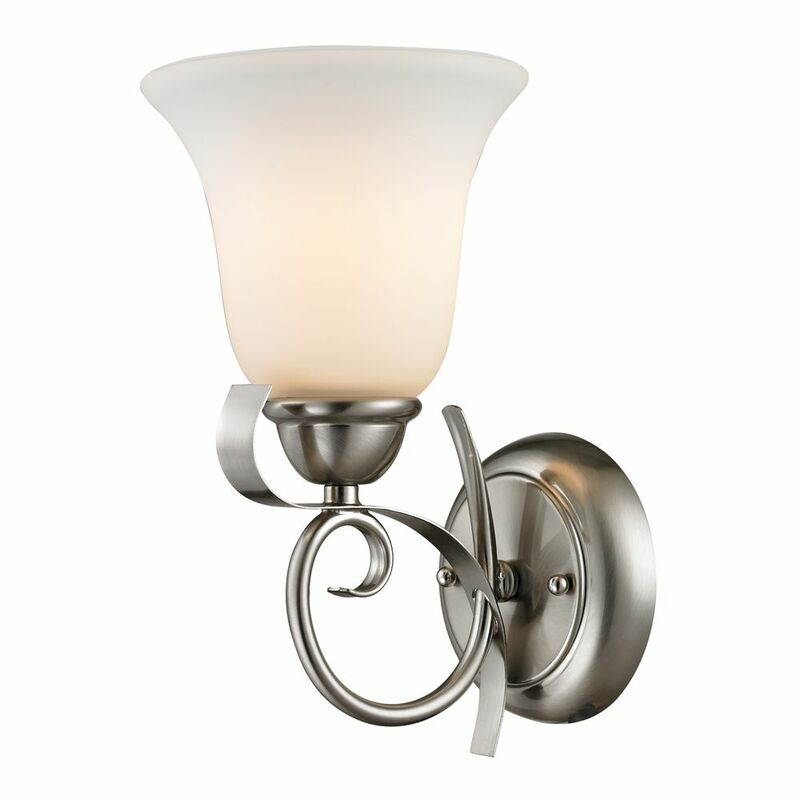 1 Light Wall Sconce In Brushed Nickel With Led Option This elegant wall sconce features a smooth flowing design with metalwork finished in brushed nickel and a beautiful white glass shade.